Living a Fit and Full Life: Build Character with The Character Builder's Bible: 60 Character-Building Stories from the Bible! 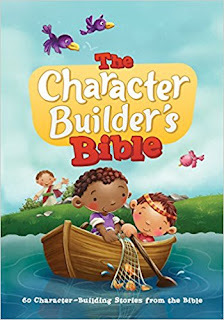 Build Character with The Character Builder's Bible: 60 Character-Building Stories from the Bible! The Bible is so much more than a collection of stories. It is the overarching message of God’s love for us and a practical guide to daily living. So often our littlest children hear these stories but miss out on how to apply the principles to their lives. The Character Builder’s Bible highlights core character traits that the Bible teaches and suggests fun, practical ways to live out these truths so that little minds can understand. Each Bible narrative is told simply, is tied to a positive attribute like obedience or humility, and is followed with a real-life example of how kids can apply the lesson in their own lives. Featuring 60 Bible stories with colorful illustrations, definitions, and memory verses, The Character Builder’s Bible will show your little ones that God’s Word is relevant to their lives and will help you instill biblical character in their hearts. Build character with The Character Builder's Bible: 60 Character-Building Stories from the Bible! The Character Builder's Bible is a terrific way to teach children about God’s love for us and gives them a practical guide to daily living. What I love most about The Character Builder's Bible is that it teaches kids to apply the principles to their lives helping them to build character in the process. Each Bible narrative is told simply, is tied to a positive attribute like obedience or humility, and is followed with a real-life example of how kids can apply the lesson in their own lives. 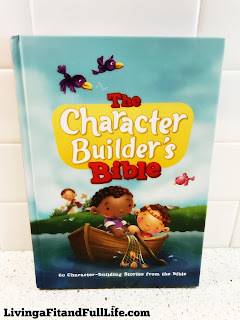 The Character Builder's Bible: 60 Character-Building Stories from the Bible is an amazing way to help kids build character and I highly recommend! You can find The Character Builder's Bible: 60 Character-Building Stories from the Bible on Amazon, Barnes and Noble and other bookstores. 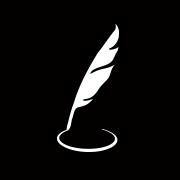 To learn more about Tyndale House Publishers click HERE! Follow Tyndale House Publishers on social media!